Make your new home yours! More houses are turning into high-tech hubs of connectivity and convenience. Technology, in fact, has become one of the improvements most requested by homeowners, reports the Remodelers Council of the Greater Houston Builders Association (GHBA). According to Matt Sneller, owner of Sneller Custom Homes and Remodeling in Spring, Texas, a low-voltage cabling and wiring infrastructure is the core of a connected home. The infrastructure supports everything from the alarm and audio systems to the HVAC and telephone. Cameras are also a component in the connected home, says Bill Riley, owner of Bicycle Bungalows in Houston, Texas. Riley reports more of his clients are replacing costly security systems and monitoring services with self-controlled cameras. LED lights are another sought-after, high-tech feature, due to their energy efficiency. Sneller recommends consulting with a cool lighting system company that offers products with geo-fencing technology, as well as smartphone control capability. 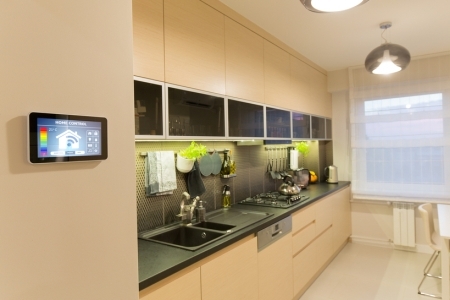 Appliance manufacturers have also joined the connected home club, now producing apps that allow homeowners to wirelessly control their appliances, and even take stock of the items within them, adds Riley. According to Rob Douglass, owner of Texas Custom Patios, no high-tech home is complete without a connection to the outside. Douglass suggests installing a universal system that controls both indoor and outdoor features, such as a flat-screen television or surround-sound. Most Americans spend up to 90 percent of their time indoors, exposing them to home health and safety hazards ranging from asthma triggers to potentially deadly pollutants like asbestos and lead-based paint. To reinforce the connection between a family’s health and their homes, the U.S. Department of Housing and Urban Development (HUD) is declaring this June as the first-ever National Healthy Homes Month. Launched by HUD’s Office of Lead Hazard Control and Healthy Homes (OLHCHH), this month is designed to educate families of potential health hazards in a home, and empower them to create the healthiest home possible for their family. This year’s theme is “Everyone Deserves a Safe and Healthy Home,” recognizing that people spend most of their time inside, and introduces them to healthy homes concepts while providing tips for keeping homes healthy and safe. To help celebrate the month and to address today’s pressing home health issues, HUD and the National Environmental Health Association (NEHA) are co-hosting an annual National Healthy Homes Educational Conference from June 13-16, 2016 in San Antonio. The State of Big Ideas: Moving Environmental Health Outside the Box conference will gather 1,200 environmental health and healthy housing professionals for an in-depth look at some of the most important issues facing the nation such as water quality, healthy housing and communities, asthma, emergency preparedness and more. Currently, millions of American homes have moderate-to-severe physical housing problems, including lead-based paint hazards, dilapidated structure; roofing problems; heating, plumbing, and electrical deficiencies; water leaks and intrusion; pests; damaged paint; and high radon gas levels. These conditions are associated with a wide range of health issues, including unintentional injuries, respiratory illnesses like asthma and radon-induced lung cancer. National Healthy Homes Month 2016 will focus national attention on ways to keep people of all ages safe and healthy in their homes. To mark this month-long campaign, HUD Secretary Julián Castro, produced a video highlighting the direct link between a household’s health and the conditions within their homes. Recently, HUD unveiled the Healthy Homes App, designed to raise awareness about potentially serious health and safety problems in the home and the steps consumers can take to protect themselves. For more information on National Healthy Homes Month 2016, visit HUD’s website. Whether it’s your first summer in your new house—or even your 25th—preparing your home for the warm weather season is most likely at the top of your current to-do list. From simple home maintenance tasks to making sure the air conditioning unit is working, it’s also a good time to get the screens in the windows. The advantages of screens are numerous. For one, they reduce sunlight and heat gain, which in warm weather is welcome, as they lessen sun damage to furniture and floors, plus keep cooling costs at bay. Screens also allow plenty of fresh air to come into the home, while at the same time keeping bugs and debris out. Plus, an open window with a screen will allow far less water into the home during a downpour than a window not equipped with a screen. Before you begin placing screens in the windows throughout your home, you’ll want to make sure they’re clean. This can be done by spraying them down with a hose. For screens that are really dirty, laundry cleaner can be used to get rid of built-up dirt that’s been collecting during the off season. It’s also important to make sure your screens are in good shape before placing them. If you notice a small tear, a quick trip to your local hardware store for a screen patch kit may be all you need. Mending a small tear is as simple as adhering the screen patch to the problem area. For really small holes, use clear-drying glue. Once the screens are in for the season, use a duster to remove any dirt that accumulates, or lightly go over the surface with your vacuum’s brush attachment. If you do need to invest in new screens, there are plenty of options to choose from. Window screens can be made of aluminum, fiberglass, metal wire, nylon or polyester, and depending on where you’ll be adding them, different options work best for different rooms. Generally speaking, fiberglass is typically recommended for the main rooms of the house. You can also choose solar screens, popular in really hot climates, which are made of special window screen mesh, often a polyester weave and sometimes the added durability of PVC coating. One downside associated with solar screens is that they basically blacken the window, a look many homeowners don’t like. While they block a majority of the light coming into the home, they also offer a sense of privacy. And last but not least, they’re cheaper than most screens on the market, and will keep the home cooler during the hot summer months. To keep the process running smoothly, when removing screens at the end of the season, place a piece of masking tape (or any other type of label) on each screen to identify which window it goes in. This will save you a lot of time and frustration next year. For more information about preparing your home for summer, contact our office today.